If you have ever suffered from a flood or other water disaster, you most likely know the damage that it can cause. Water is not something to play around with and it needs to be cleaned up and taken care of as quickly as possible. Some potential ways that your home might suffer from water damage is from a leaking plumbing fixture such as a sink or toilet. You can also have a water heater go out that is full of water and will often end up flooding into your house. Another way that you can suffer from water damage is when you are in a storm that somehow causes a flood that makes its way in your home. When water gets in your home you need to have a plan of action and you need to be able to execute it. Level of Water Contamination: The water that has flooded your home could be contaminated with bacteria and other debris. There are guides to the levels of contamination so that the water damage restoration technician know what they are working with. Depending on where the water comes from will depend on the amount of debris that you may have. If the water is from a clean source such as a sink overflow the amount of bacteria is minimal. If the water comes from a flood from a storm it will have some bacteria and debris but the worst level comes from a sewer leak. The bacteria that is found there is a major problem and can be dangerous to be around. If you allow the water to stay on the carpet you could be getting in contact with the bacteria that can lead to illness. Risk of Mold & Mildew from Water Damage: If nearly any surface is damaged or saturated it has the potential to grow mold or mildew. When you are dealing with water damage you need to do all that you can to act quickly. You might think you have time to clean the water up and recover your property but if you allow the water to sit for 24 hours or more, the growth of mold and mildew will begin to grow. Mold and mildew not only have a bad odor of mustiness but it is also a danger to your health. The spores from the mold will easily get in the air and that can get in your lungs. For someone with allergies and asthma it can even more difficult to deal with. The spores can get in your lungs and that will cause trouble with your respiratory system as well as making you feel ill.
Clean the Carpets: The carpet is often times saturated with water when there is flooding. The flooding starts low and can and will ruin anything in its path if it is left to sit. The carpet is one area that people assume they have to throw it out if it is flooded. That is just not true and as long as you work quickly you can save the carpet. It only happens when you hire a professional that knows what they are doing. Leading Carpet Cleaning offers water damage restoration services that include water extraction, structural drying, carpet cleaning, deodorizing and more. Contact us for all your carpet cleaning related needs. Have you ever noticed that your carpets under an area rug has started to look yellow? There is a chemical reaction that can happen that will actually change the color of the carpet. Most people have never heard of this and don’t know that it can exist. It can happen to anyone and you are doing something right now to cause it. The first time that many people notice this problem is when they decide to rearrange a room. Maybe they want to move the rug to a new spot, rearrange the couches or slide the bed to a new location. They move the piece and realize that the carpet is not the color you thought it was. The yellowing can happen to anyone and you may not even realize you are at risk. Why Is Your Carpet Turning Yellow: The carpet yellowing is sometimes confused with the original carpet color. The carpet can look very different if you have decorated a room and not changed it for a while. When you finally move a table or couch you may see that the carpet around the item is much darker in color than the carpet that was under. The original color of the carpet will be the same as the rest of the carpet but it will be lighter and cleaner. The best way to stop that is from using a professional carpet cleaning service often. The carpet yellowing is what is known as phenolic yellowing and is when the carpet reacts to the air around it. Your carpet may have butylhydroxyltoluene or BHT which is okay as long as the carpet is able to breathe. The BHT can cause a reaction when it is trapped under a rug or heavy item. This is called off gassing and is the process that will turn the carpet yellow. It is an actual yellow tint that is unappealing to look at. If your carpet and padding does not have BHT and you still notice this happening under a rug it can be from the actual rug. They also can have BHT in them as well. How to Prevent Yellow Color Discoloration of Carpet: The best thing that you can do to keep this from occurring is to move your rooms around. You don’t want to rearrange your house every few weeks but it is a great idea to move everything you can when you have the carpets cleaned. This will give the carpet time to breath and also a way to keep the carpet clean and even looking. You can also look into what type of carpet or rug you have. 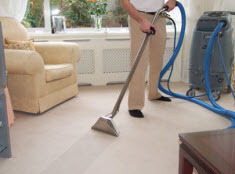 Knowing that you have BHT will help you to keep on top of your carpet cleaning. 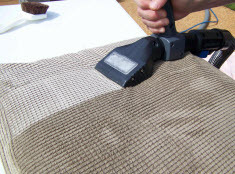 This will ensure that the carpets have air flow so they don’t cause the yellowing to occur. Can You Fix These Yellow Spots on Carpet? : The damage is done when you are dealing with phenolic yellowing. The chemical reaction has occurred and it cannot be reversed. You will need to have the carpet replaced early. Prevention is the key! Carpet Cleaning & Stain Removal in Orange, Santa Ana, Rancho Cucamonga, Anaheim, Whittier, Riverside, Chino & Fullerton California. Leading Carpet Cleaning offers expert carpet cleaning services to prevent phenolic yellowing and also extend the life of your carpet. Contact us today to schedule an appointment. There are quite a few myths that often creep into any industry. No matter what the topic, myths are often evolved from false notions, bad experiences, and vicious rumors. Setting the myths straight and understanding the facts can help you better care for your possessions. This includes carpeting. With the many rumors that have come over the decades, many of these rumors should be forgotten for the preservation and overall condition of your carpet. Today, we at Leading Carpet Cleaning would like to debunk the myths concerning your carpets and share the facts. Myth: Cheaper carpeting saves you money and is no different than more expensive carpets. Fact: Low quality fibers and poor manufacturing is what brings down consumer cost. Poorly made carpets that are cheap do not last more than a few years; if you are looking to invest in carpet that will last, get a better quality carpet that costs a bit more money. Myth: Professional cleanings are hard on carpet. Fact: Professionals have advanced training and knowledge concerning carpet types, equipment use, and detergent use, to ensure your carpets are cleaned to the max without inflicting damage. Properly used detergents and equipment are safe on surfaces but hard on stains and debris. Myth: Carpets that appear clean and stain free do not require professional carpet cleaning. Fact: Carpets mask dirt better than other types of flooring and the debris settles deep in the fibers and after time, it builds up. Dirt is abrasive to carpets and with normal walking traffic, sandpaper like effect occurs that will wear the carpet out much sooner. Getting your carpets cleaned annually whether they look like they need it or not can keep your carpets in the best care. Myth: New carpets don’t need professional cleaning for years. Fact: As previously stated, carpets should be cleaned annual. If you have freshly laid carpets, about a year after installation, it is ideal to get your carpets professional cleaned. Myth: DIY carpet shampooing is just as good as a professional. Fact: The standardized carpet cleaners for ownership or rent can adequately disperse the water and detergents, but is challenged by extracting all the moisture and dirt. Water left to fester can be the beginning of mold growth. Professionals utilize industrial strength, premium grade equipment and products to ensure maximum cleaning. Myth: Too much vacuuming ruins carpet. Fact: There isn’t a possibility that any amount of vacuuming can expedite the deterioration of your carpet. If you house attracts a lot of dirt, dust, and debris, vacuuming twice a day more will only suction out the dirt before it has time to penetrate deep into the carpet. Myth: DIY carpet shampooing and professional cleanings are equal. Fact: The standardized carpet cleaners for ownership or rent can adequately disperse the water and detergents, but is challenged by extracting all the moisture and dirt. If water is left behind, it has the potential of turning into mold, ensuring the moisture is extracted is essential. Myth: Carpet deodorizer powder is enough to keep carpets clean and fresh. Fact: Carpet powders cause unnecessary damage if they are over used. The vacuum cannot collect all the powder, and the particles left behind penetrate down in the surface, causing the sandpaper like effect dirt and grit creates. Additionally, masking odors is all these products are good for and do not contribute to the overall cleanliness of your carpet. Myth: Carpet cleaning isn’t affordable and should only be used when the carpet really needs it. Fact: Professional carpet cleaning has become a common service in recent decade and in a competitive market, carpet cleaning has become very affordable . A regularly scheduled professional cleaning prolongs carpet life, controls allergen containments, and reduces bacteria to improve the indoor air quality. If your carpet is due for a professional cleaning, contact Leading Carpet Cleaning today and let our experts get started! Hardwood floors are a timeless classic. They add charm and elegance, and no matter the theme, are compatible with any décor. Considered an upgrade to home value, hardwood floors are versatile and durable. Keeping your hardwood floors in prime condition should be your priority when deciding to invest in hardwood floors. To ensure your hardwood floors are in top condition looks rich, shiny, and phenomenal, as well as keeping your hardwood floors to and past their projected lifespan, implement the following tips and advice provided by Leading Carpet Cleaning. We will help you achieve your goals in keeping your hardwood floors well cared for. 1) Hardwood Floor Cleaning. Keeping the hardwood floors cleaned on a daily basis is crucial for the overall care of your hardwood floors. 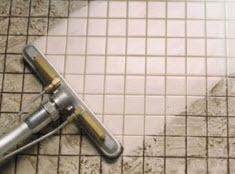 Whether your preference is vacuuming, sweeping, or dust mopping, keeping the dirt, dust, crumbs, and other such debris will help you avoid scuffs and scratches as well as early deterioration of the finish. – Sweeping Hardwood Floors: If you your choice of cleaning the floors is a broom be sure the bristles are soft and fine with exploded ends that are well equipped to trap the dirt, dust, and debris. You will get an effective clean without inflicting damage from stiff bristled brooms. – Vacuuming Hardwood Floors. Vacuuming hardwood floors is another common approach that can easily remove the dust, dirt and debris that falls on hardwood floors. If this method is what you choose ensure your vacuum’s setting is on “bare floor”. On other settings the vacuum brush rotates, causing scuffs and scratches. Be thorough when vacuuming and along corners and edges, utilize the hose to get completely remove the filth. – Dust Mopping Hardwood Floors. Dust mops are an optimal choice, eliminating the chances of damage but still delivering maximum results. Investing in a good dust mop goes a long way. A highly recommended dust mop with 12”-18” cotton head and prepared with a special dust mop treatment is a suggestion. Spray the treatment according to the label’s instructions, which often directs user to spray onto the mop head 12 to 24 hours before dust mopping. – Cleaning Spills from Hardwood Floors. Spills, especially liquid spills, need to be cleaned up and dried immediately. Moisture on hardwood floors needs to be avoided at all costs. Water or other liquids will influence the wood to warp and crack, even with minimal contact. Moisture will absorb into the porous areas and gaps causing water damage and the right conditions for mold. All accidental spills, no matter what the element (food, beverage, chemicals, etc.) should be immediately wiped clean and completely dried. 2) Do Not Use Abrasive or Hard Cleaners on Hardwood Floors. Oils soaps and abrasive or harsh chemicals should not be used to clean your hardwood floors. Oil based soaps build up over excessive use and cause substantial damage over time. Abrasive cleaners expedite the natural wear of finish on your hardwood floors, leaving it vulnerable. Abrasive scrubbing implements are strongly advised to avoid. If you have to treat spots on hardwood floors use barely dampened microfiber clothes and immediately follow it up with a dry cloth. 3) Don’t Drag Furniture on Hardwood Floors. Dragging and sliding furniture on the hardwood floors leaves scratches and other unsightly blemishes on your floors. Furniture should always be lifted and re-positioned if necessary. For added protection and preventative care, install felt strips on the bottom of your furniture’s legs to offer some protection against accidental slipping and sliding. 4) Avoid Direct Sunlight on Hardwood Floors. Long term exposure to direct sunlight will dry out hardwood floors, causing cracks and gaping, along with fading. To avoid the sun’s rays utilize curtains, drapes, or blinds during the times of the day where the sun is most potent. Call Leading Carpet Cleaning for additional professional care and maintenance to keep your hardwood floors in pristine condition.